Watchmaking has a new "Quartermaster" namely Richard Hoptroff and in the aftermath of Salon QP, I predict that much will be written about the timepiece he is soon to unveil, the Hoptroff No 10, the world's first atomic pocket watch. Hoptroff is no ordinary watchmaking business. Included in the company's list of innovations is "Atomic Accuracy". Two of Hoptroff's directors can include "Articial Intelligence" in their credentials and all three appear at first glance to be not in the least bit boffin-esque and certainly not the type of blokes who you'd expect could combine talents to create something as extraordinary as an atomic timepiece but - By Jove, they have .... and how entirely appropriate that they do their inventing in the heart of London, just a stone's throw away from the place from where inspiration for the Hoptroff Atomic Pocket Watch came - the Greenwich Observatory. The story of the Hoptroff Atomic Pocket Watch begins with the conundrum of calibration. 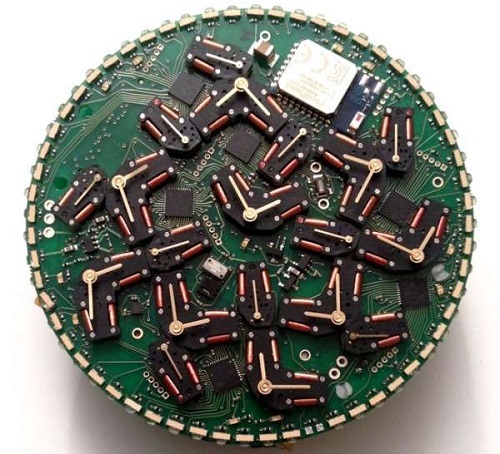 The Hoptroff workshops used a GPS-signalled device as its primary clock source. During a visit to Greenwich, a must for all who have a penchant for horology, Richard Hoptroff noticed a Hewlett Packard atomic clock module which caused him to consider how handy such a device would be for their own time-setting needs. With a little research, he discovered that indeed such a thing could be sourced, not only that but Symmetricon could supply him with a matchbox-sized module. 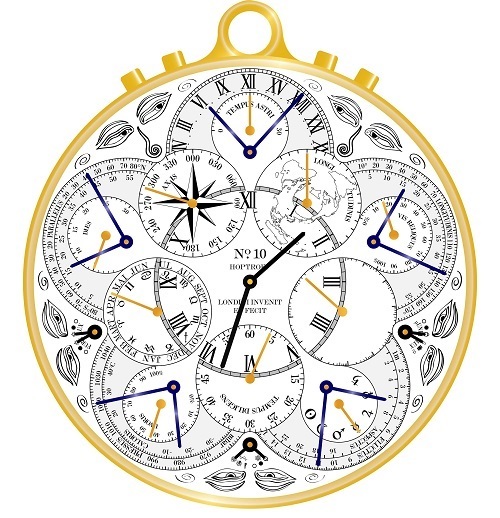 The eureka moment came when he realised that such a device could be integrated into the case of a pocket watch thus creating a timepiece with unmatched accuracy. He re-tells the scenario on the Hoptroff website ending with a statement which speaks volumes of the commitment and character of his company, "10 weeks later we had it 'ticking'". Such a timepiece requires a healthy portion of physics. The CSAC module (Chip-Scale Atomic Clock) consists of a temperature controlled oven which contains a caesium gas chamber. The reaction of the caesium atoms when they are excited by laser is measured by a microwave resonator. These transitions are then converted into time measurement, 9,192,631,770 are equal to one second, a calculation used since 1967 by the International System of Units. The preciseness of the Hoptroff Atomic Pocket Watch means that it has unrivaled accuracy, although advancements in Optical Atomic Clock technology mean that this may be short-lived - but that's another story, this is Hoptroff's day in the sunshine and rightly so. The Hoptroff No 10 will feature two dials, one of which will remain a secret until the unveiling, the other which features such a compendium of indications that even the most nerdiest watch nerd will surely be satisfied. There are 28 complications in all, including indicators to tell the wearer that all is well inside the piece and, considering that the technology used is similar to that used in missile-guidance systems, you will want to know that this piece is happy and healthy. The indications are laid out in a neatly over-lapping and orderly manner and the piece will be presented in a trim-bezeled golden case - perhaps a little too classical for some considering the highly technical inner workings? A quote from James Bond's new fresh-faced Q comes to mind "What did you expect, an exploding pen? We don't really go in for that anymore". More information at the Hoptroff website.